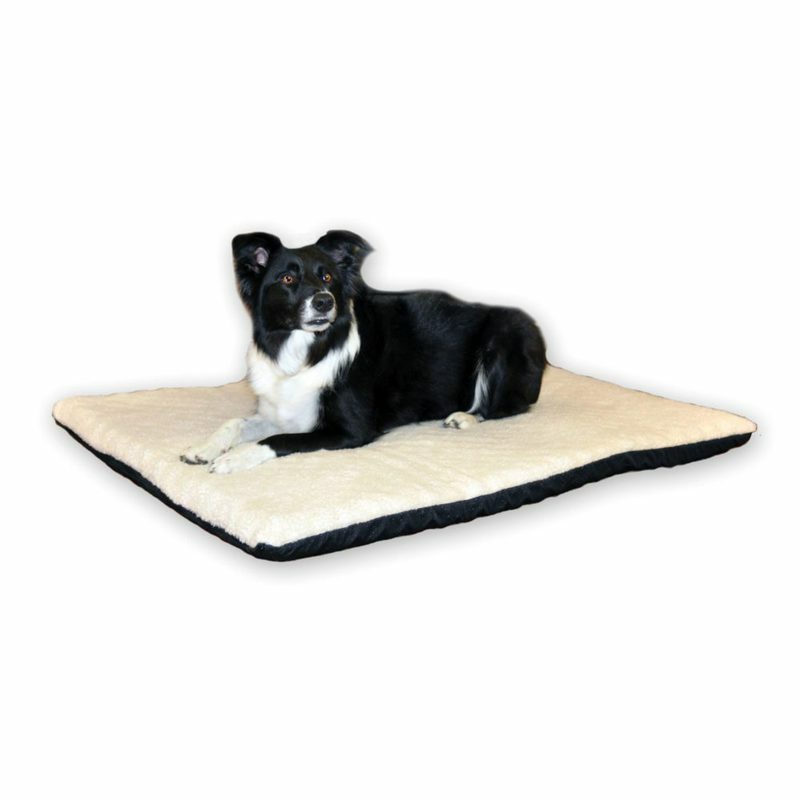 K&H Pet Products Ortho Thermo Pet Bed Large White / Green 24" x 37" x 3"
Its two layers of orthopedic foam are so thick and supportive that even the largest dogs will not ʺbottom out.ʺ The unique dual thermostat maintains an even surface temperature of 12‐15 degrees above ambient air temperature, to your pet's normal body temperature when in use. All K&H heated beds and pads feature dual thermostats and are designed to warm to your pet's normal body temperature when he/she lies on the pad. When your pet is not on the pad, the heat will dissipate into the air and the surface temperature will vary according to the ambient air temperature. Dimensions: 24" x 37" x 3"